Through May 1st, keep a close eye on your iFruit as the full cast of the Los Santos underworld will be paying Double GTA$ & RP on all Contact Missions. You don’t have to wait for someone to slide into your DMs with offers of work though - you can still launch these missions at any time via the Job menu. If you're jonesing for some buy and supply action, capitalize on a hefty 25% off Offices & 50% off Special Cargo Warehouses. 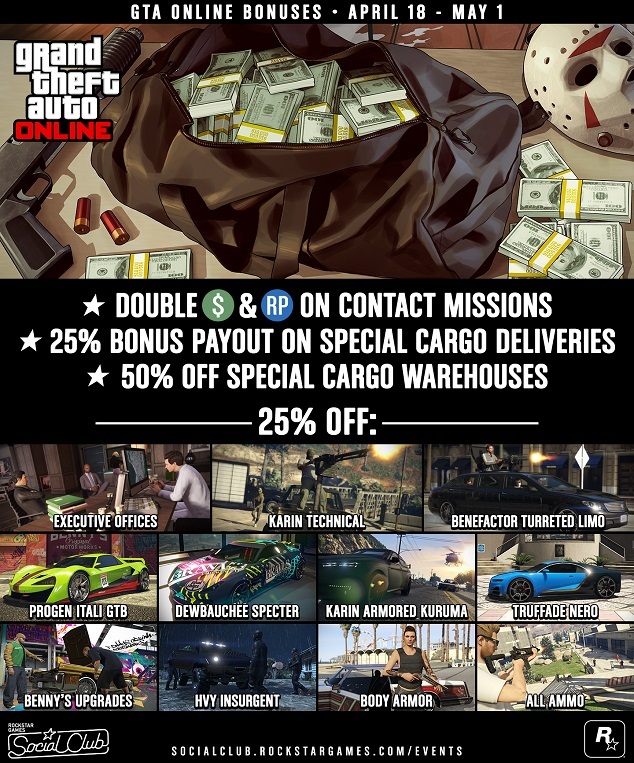 Earn a 25% bonus payout on Special Cargo Deliveries and make short work of your rival Organizations with discounts on armored and armed vehicles. 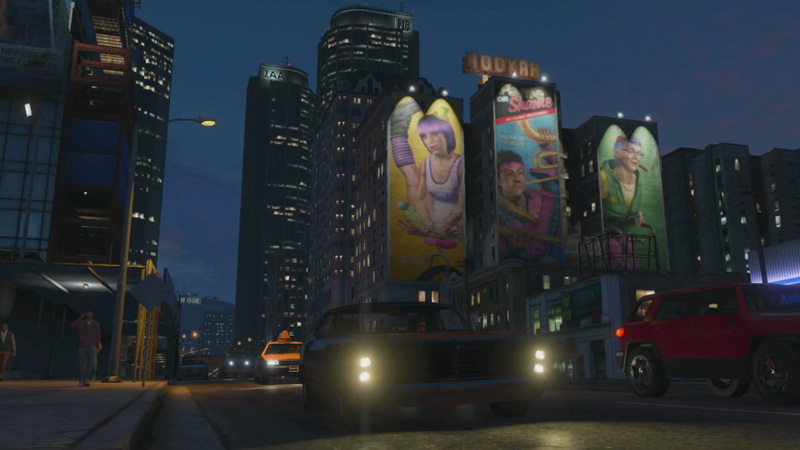 This week's Premium Special Vehicle Race is "Surf and Turf", locked to the Blazer Aqua. Launch Premium Races through the Quick Job App on your in-game phone or via the yellow corona at Legion Square for a shot at big GTA$ payouts for the top three finishers, and get Triple RP just for participating. Duke O'Death Available in GTAO - The Duke O'Death and other returning player exclusives are now available for all in new-gen GTA online!